Displays and stores fresh bread! Choose from a variety of gusseted styles. Use kraft bags with window to store and display bread in an eye-catching way. 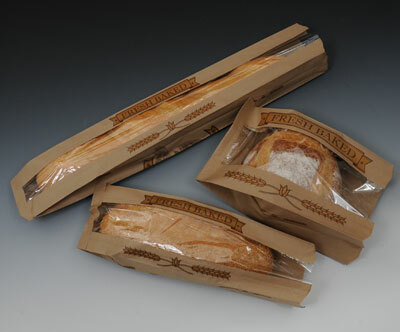 Kraft bags with window have “Fresh Baked” printed on them.